Most young Catholics are disengaged. Until they are engaged, they won’t absorb information about the faith and make it their own. Are you ready to engage the young people of your parish in a life-changing conversation about the genius of Catholicism? Throughout our research, parish leaders asked for physical program materials. We responded to that request. 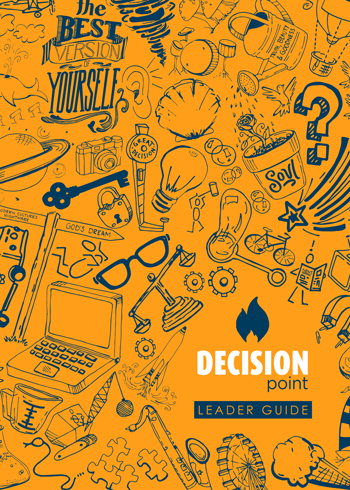 This free Program Pack includes everything you need to bring DECISION POINT to your parish and transform the lives of the youth in your community. This is not just any book; it’s a companion. With fun illustrations, space to answer discussion questions, and journal pages to jot down personal thoughts and experiences, Confirmation candidates will treasure this workbook long after their Confirmation has passed. 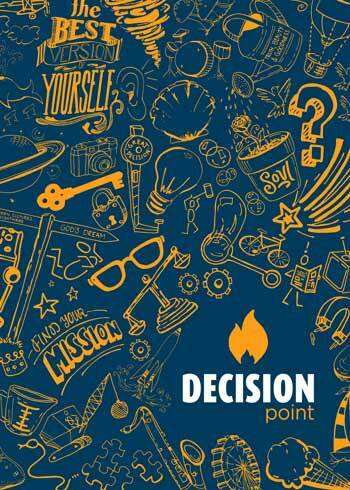 We want to help Confirmation class leaders use DECISION POINT in the most effective and engaging way possible. This robust Leader Guide outlines the entire program and includes discussion questions, recommendations for structuring the program, and more. The DECISION POINT DVD Set includes 72 short films on 4 DVDs. Presented over a series of 12 sessions, these engaging films invite young Catholics to explore life’s most important questions. Each film features Matthew Kelly and is unlike anything you’ve seen from a Confirmation program. 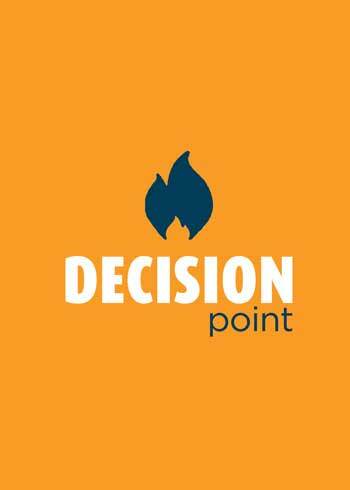 How Much Does DECISION POINT Cost? What’s the point of developing the best Confirmation program in the world if half of the parishes in America can’t afford it? Thanks to the generosity of Dynamic Catholic Ambassadors, DECISION POINT is available to every Catholic and every parish in the United States for free.